The Michigan drunk driving accident lawyers at our law firm represent injury victims and their families against drunk drivers and the establishment that served the alcohol. The injuries from a drunk driving accident are often catastrophic and even deadly. We hold the drunk driver and owner of the vehicle accountable for the devastating effects of the accident. 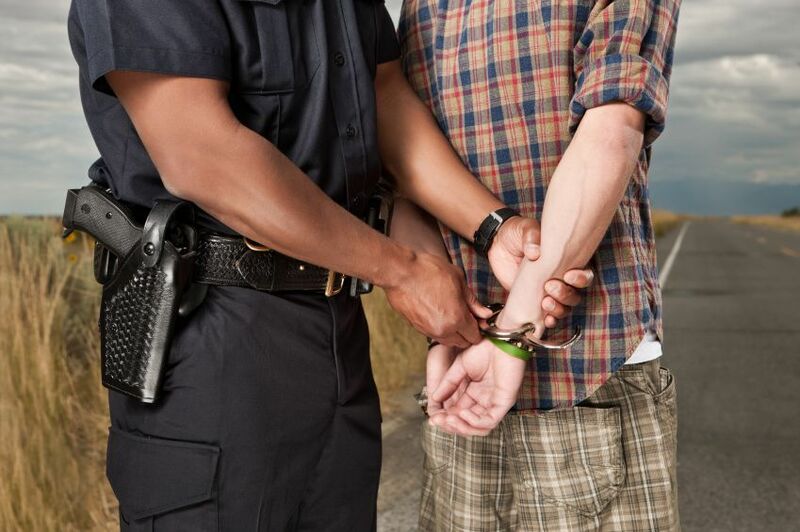 Do I Need To File A Police Report For A Drunk Driving Accident? Michigan law requires drivers to report any accident involving a motor vehicle that causes more than $1,000 in property damage, results in death or injury, or damages an unattended vehicle or other property. Many auto insurance policies require a written report be filed within twenty-four hours of an accident to get your insurance benefits. For drunk driving accidents, there will always be more than just the basic traffic crash report because it is a criminal offense. The police officers will take witness statements, perform roadside sobriety tests, and do a more extensive investigation to assist in the criminal prosecution of the case. How Do I Get A Copy Of My Police Accident Report? You can get a copy of a DWI traffic crash report (UD-10) from the police agency that investigated the crash. For Michigan State Police reports, you can purchase them online through the Traffic Crash Purchasing System. A copy of the complete police file can be obtained by a Freedom of Information Act (FOIA) request to the department that investigated the crash. When Should I Contact My Insurance Company After My Accident? You should contact your insurance company immediately after the accident to report any damage to the vehicle or personal injury claim. A properly damage adjuster will be assigned to assess the damage to your vehicle and to assist you in arranging repairs. If you were injured, you will need to file an Application for No-Fault Insurance Benefits with your own auto insurance company. Who Pays The Property Damage To My Vehicle? Michigan has the mini-tort law that determines who is responsible for paying the property damage to vehicle involved in an accident. This is determined by the type of collision coverage on your vehicle and who was at fault for causing the accident. The Michigan Department of Insurance and Financial Services provides an excellent guide explaining the mini-tort system. Michigan is a no-fault insurance state which means that every automobile is required by law to be covered by a no-fault insurance policy. No-Fault insurance provides valuable benefits to anyone injured in an auto accident. These benefits, referred to as Personal Injury Protection (PIP) benefits include payment of medical expenses, lost wages, attendant care services, household services, medical mileage, home modification, and other benefits. You may be entitled to these benefits even if you did not own a car or have your own auto no-fault insurance policy. Vehicle passengers, pedestrians, and bicyclists can always get these benefits. Video: Can I Sue The Drunk Driver For Causing The DWI Accident? A drunk driver is liable for all injuries caused to another person in accident while intoxicated or operating under the influence of alchohol. In addition to the criminal penalties and fines, a civil lawsuit can be filed to seek compensation from the driver and owner of the vehicle for injuries and harm caused in the accident. The insurance company for the driver and the owner of the vehicle typically pays the settlement in the case. If the drunk driver was in the course of employment, the employer may also be responsible for the injuries caused in the accident. Can I Sue The Place that Sold Liquor To The Drunk Driver? The Michigan Liquor Control Code of 1998 (Dramshop Act) permits certain persons to bring a cause of action against the retail licensee that unlawfully served alcoholic beverages to an intoxicated person or a minor, resulting in injury, death, or property damage. To recover damages under the Dramshop Act, a plaintiff must show that injury or death was caused by a retail licensee’s unlawful selling, giving, or furnishing of alcohol to a visibly intoxicated person or a minor. Retail licensees include bars, restaurants, sports arenas, hotels, banquet halls, and any business with a retail liquor license. These businesses and places often pay substantial settlements for their own negligence. Passengers who are injured in vehicles driven by drunk drivers can sue for personal injury damages. These claims are made against the insurance company of the drunk driver and the owner of the vehicle being driven by the intoxicated driver at the time of the accident. Passengers can also make claims for No-Fault insurance benefits if injured in the crash. What Is A Dram Shop Lawsuit? A dram shop case is a lawsuit against a bar, restaurant, or other establishment that sold alcoholic drinks to the person who got drunk and caused the accident. Many times, the person drank at several places before the accident. It is necessary to determine which establish sold the alcohol to the person when he or she was visibly intoxicated to win this type of lawsuit. What Are The Michigan Dramshop Law Requirements? The Michigan Dram shop law requires that an investigation begin as soon as possible after the accident. It also requires that the bar or restaurant in question be notified in writing about the claim within a very short time period. The failure to give this timely notice can destroy your claim. Our drunk driving accident lawyers hire private investigators to interview witnesses and other bar patrons to prove that the establishment served alcohol to the intoxicated motorist shortly before the accident. Any delay in beginning your investigation may result in difficulty tracking down these witnesses at a later time so you should call an attorney immediately to begin working on the case. This also applies to families seeking compensation for the wrongful death of a loved one in a fatal drunk driving accident. How Much Can I Sue For In A Drunk Driving Case? Compensation in a lawsuit refers to the settlement money awarded to the victim of a drunk driving accident. If the case goes to trial, the jurors are asked to evaluate the different damages for a specific case. The jury then decideds the dollar amount for each type of damage claim proven at trial. What Are The Damages in a Fatal Drunk Driving Accident Lawsuit? In fatal drunk driving accident cases, the surviving family members can file a wrongful death lawsuit. These cases seek damages for conscious pain and suffering of the victim from the time of accident until death, the loss of society and companionship of surviving family members, loss of income and support, and other economic damages. The lawsuit can be brought by a family member of the decedent and is filed on behalf of the entire family. The person bringing the suit is appointed as the Personal Representative of the estate for the purposes of filing the case, but all family members have rights in the suit. The parties need a judge to approve the settlement and the amount of the settlement shares for each family member. Family members who do not agree with the settlement or their shares of it can appear at the court hearing and object. The judge may then hold a hearing to determine the fair distribution of the shares to each person. Is There Insurance Coverage For A Drunk Driver? Many victims of drunk driving accidents fear that there will be no insurance coverage for the drunk driver. Thankfully, all Michigan car insurance policies provide coverage in DWI and DUI injury cases. If the intoxicated driver was uninsured at the time of the accident, your own auto insurance policy will likely have uninsured motorists coverage to pay you a personal injury settlement. How Much Time Do I Have To Sue A Drunk Driver? In Michigan, there is a three-year deadline to sue a drunk driver that caused injuries or death. The same three year deadline applies for suing the owner of the motor vehicle operated by the drunk driver at the time of the crash. This period can be extended if the injury victim was under the age of eighteen (18) at the time of the accident. The same three year period applies for Dram Shop Lawsuits. To learn more about your legal rights after a Michigan drunk driving accident, you should order our FREE book, "The Michigan Drunk Driving Accident Handbook" by Michigan lawyer Lawrence J. Buckfire. The book explains all of your legal rights and responsibilities after the accident.. Our book sells for $14.95 on Amazon but Lawrence will send it to you for FREE! How Much Does It Cost To Hire A Drunk Driving Accident Attorney? It does not cost anything to hire our car accident lawyers. We do not charge any fees to start your case and only get paid when you receive your settlement check. This is called a contingency fee agreement. Under this arrangement, we also pay all of the case expenses for you and get a percentage of the settlement at the very end of the case when your check is received. Do You Have To Pay Your Lawyer If You Lose Your Case? No. Under our contingent fee agreement, there are no legal fees if the case is unsuccessful and you do not receive a settlement. You owe us nothing. Call us now at (800) 606-1717. Our attorneys and investigators will start working on your case immediately and begin gathering the witness statements and evidence to prove and win your case. Warning: There are strict time deadlines for suing drunk drivers and the bars that served them alcohol before the accident. Call our accident injury lawyers now to file your lawsuit and get your settlment. The statistics do not include information about the serious injuries caused by drunk drivers in non-fatal accidents. These injuries are often catastrophic and include spinal cord injuries, traumatic brain injuries, orthopedic injuries, and other serious injuries. Victims also suffer psychological trauma from being hit by a drunk driver. My mom was T-boned by a drunk driver and she sustained many serious injuries that will impact the rest of her life. The only time we had to step foot into the courtroom about the settlement was to officially finalize the case. We 100% recommend using Buckfire & Buckfire, they sincerely care about you and your family, and make you a priority.